Let me know of any bugs... (yes, the Lee's Abacii has some alignment issues). Also, if there is a abacus design not featured that you want to see, let me know. The Java below has more features (and no alignment issues), but can no longer run in your browser ... sigh. See project notes for todo list and history. Unzip somewhere and then put in Eclipse like File->Project->Android Project from Existing Code. Then build, install, and run as usual. Any trouble building and getting on your Android, let me know so I can make fixes or better instructions. the "demo" mode: here some static lessons are given for the different types of abacus. The lessons include counting, adding, subtracting, and multiplying. The original lessons were taken from work by Luis Fernandes. the "teach" mode: here you learn at your own pace by entering your own calculation like "A+B", "A-B", "A*B", or "A/B" (where A>0 and result non-negitive). Pressing the enter key, will give you a step by step explanation and show proper moves on the abacus. According to the books below, you are supposed to start on left side, when adding or subtracting multi-digit numbers. (There is a menu option "rightToLeftAdd", if you think this is inefficient (similar one for multiplication "rightToLeftMult")). Lee's Abacus is more suitable if you are learning multiplication and division, as there are extra places to store operands. CBRT operation is a feature that solves perfect cubes (0 - 1003003001 tested with internal tester). For example, try it out with "1030301u" in teach mode on a "Lee's Abacus". Here cbrt reduces to an answer from which you must divide by 3. (You can try that out like "303/3", once cbrt operation gives its "tripled" answer of "303".) This again follows closely the work of Lee Kai-chen. You can download the jar file (preserve the .jar extension), and then it can be run as an application like "java -jar AbacusApp.jar -rails=15" or "java -jar AbacusApp.jar -lee=1 -leftAuxRails=9 -rightAuxRails=9". The X Manual Page is written for the X version but may be useful to understanding the Java program. See project notes for todo list and history. Please let me know if I left out anything. 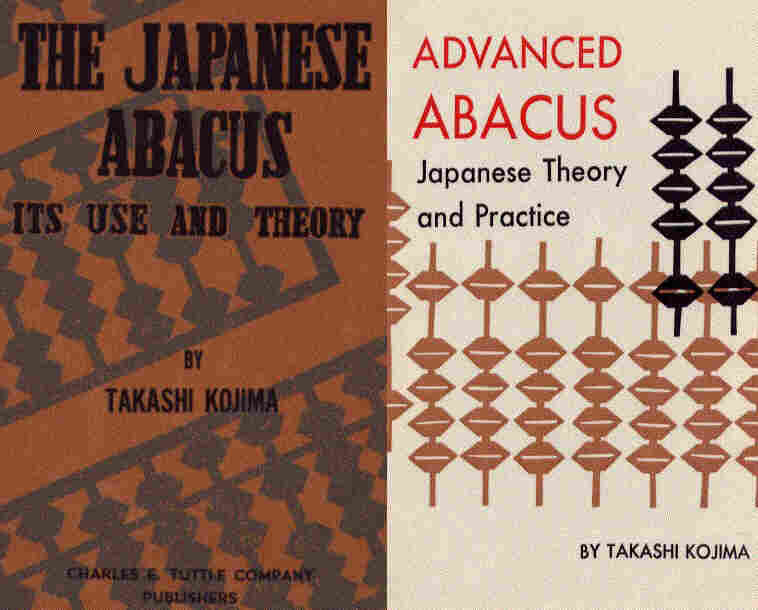 There is a feature for teachers to test students on the use the abacus. This would give the ability to create your own tests. Results would go into a results directory. Sample tests are given in zip file (there is only the one test so far, in demo below). The idea is to move the beads to the correct position and then record the answer by a certain time. C/C++ Source Code and Binary for Windows (wabacus zip'd file, same source as above compiled with MinGW).